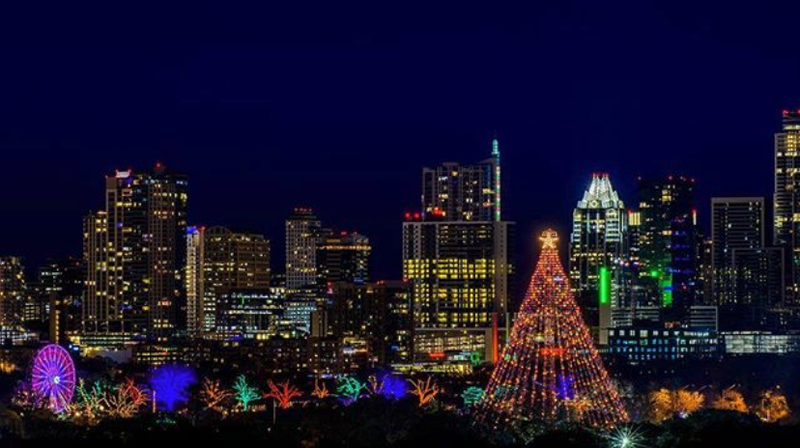 The icon of Austin’s holiday season, the Zilker Christmas Tree stands 155 feet tall and graces the Austin skyline with nothing but lights – 3,309 to be exact. Kick off the holiday season at the annual tree lighting on Nov. 25 with local choir and ensemble performances, food, and festivities, or enjoy the nightly display through Dec 31. Take a spin under the tree for a traditional Austin experience! Immerse yourself in urban art while strolling through nature at the annual Creek Show. 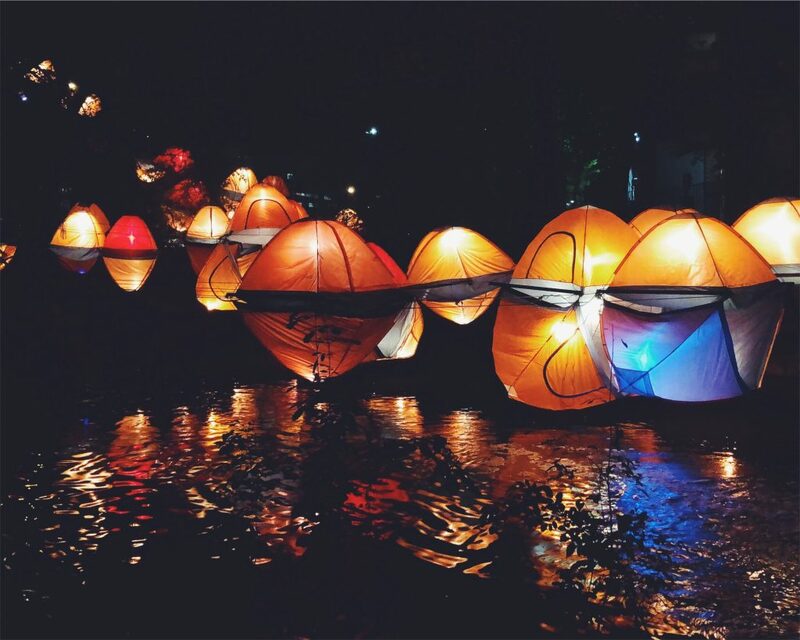 Join over 20,000 attendees for 9 nights of light-based art installations along Waller Creek that aim to build awareness for Waller Creek’s initiative to transform the Austin community. With this year’s entrance on 9th Street winding up to 11th Street, the course delivers guests to Symphony Square for live music performances, immersive activities and nightly entertainment. Stop by the acclaimed Mozart’s Coffee Roasters anytime between now and the end of the year for a bedazzling holiday light spectacular. 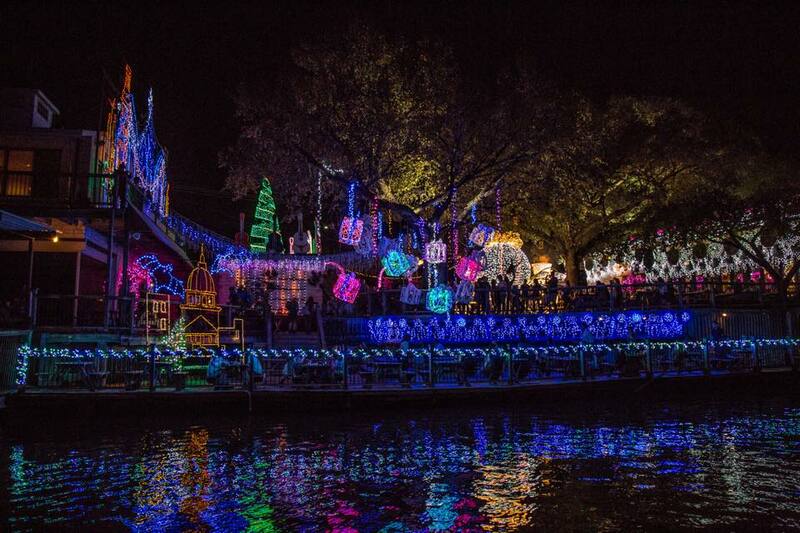 More than one million LED lights illuminate the lakeside deck, shaped into memorable Austin and Christmas icons like a grand piano, the State Capitol, or a giant coffee mug. On any given night, guests can enjoy performances from local school choirs, holiday baked goods from Mozart’s and other local vendors, and a relaxing (and free!) evening with the family. 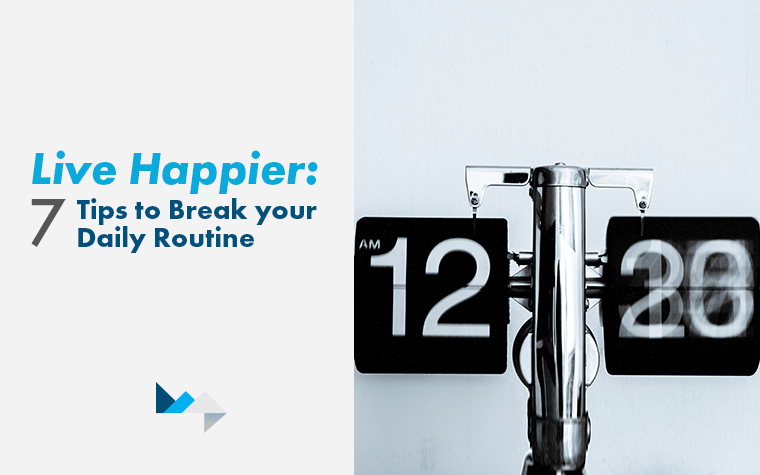 When: Nov. 16 – Jan. 1, 6-11:00 pm, nightly. Closed Thanksgiving and Christmas day. Where: Mozart’s Coffee Roasters, 3825 Lake Austin Blvd. Pics with Santa have never looked better! 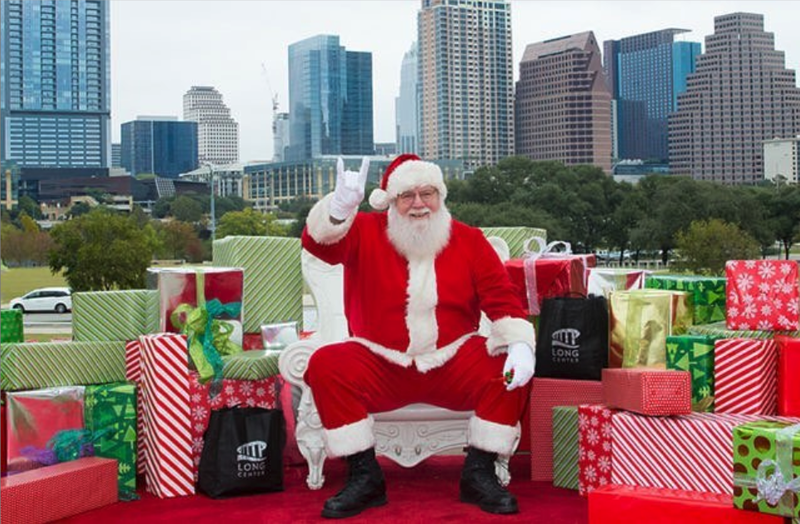 Bring the kids out to the H-E-B Terrace at the Long Center on Dec. 1 for a chance to meet Father Christmas and share their Christmas wishes. Photos are free, and there will be plenty of holiday festivities and fun while you wait. Where: H-E-B Terrace at the Long Center, 701 W Riverside Dr.
Ice skating on top of Whole Foods? That’s right. 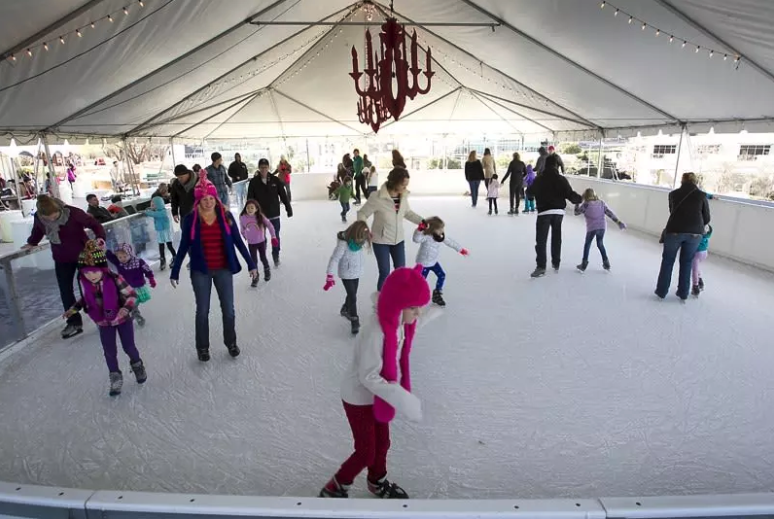 Each year the market’s flagship store opens up an ice-skating rink on its downtown rooftop plaza, ensuring there are still plenty of activities to keep Austinites outdoors, even in the chillier months. Book it for a private party, come skate with friends, or make new ones among the 16,000 skaters who stop by each season. Enjoy Live Music Fridays curated by KUTX. Where: Whole Foods Market Lamar, Rooftop Plaza, 525 N Lamar Blvd. 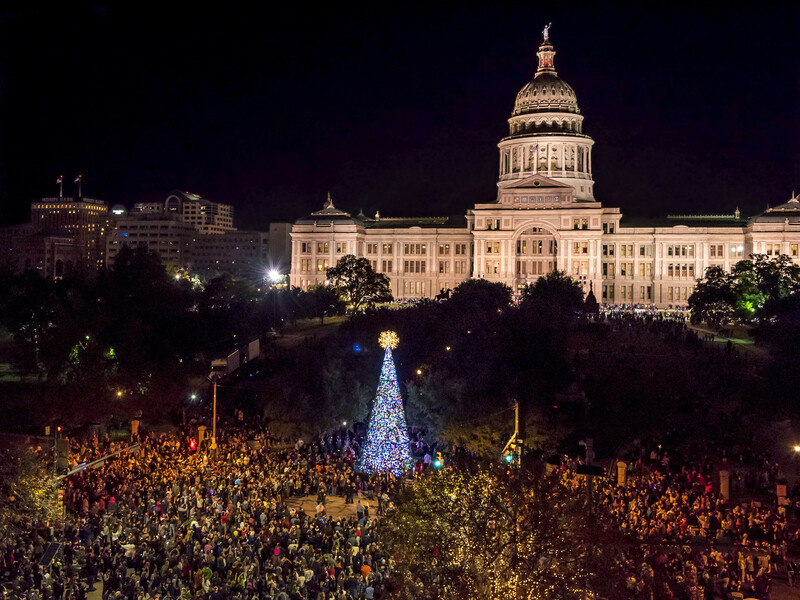 Deck the halls in a magical evening of lights and carols at the foot of the city’s Capitol. The caroling begins on the south steps at 6pm, leading up to a light show at 7pm to celebrate the Lighting of the Downtown Tree. Stroll down Congress Ave. for the full holiday experience with live music and performances, food trucks, shops and galleries open late, and festivities for the whole family. Where: Congress Ave. between 9th St. & 11th St.
A local tradition dating all the way back to 1965, the Austin Trail of Lights bedazzles the city for two weeks each holiday season with 2 million lights in 40 different displays. Meander along the mile-long walk through Zilker Park leading up to the park’s glowing tree for the true holiday spirit of the Austin community. 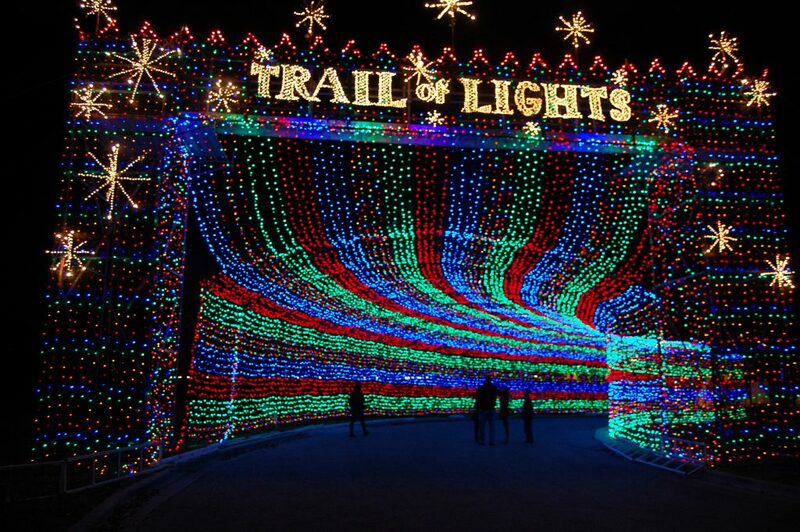 On different nights of the week, the Trail of Lights Foundation hosts special events along the trail including a Fun Run, Heroes Night, Movie Night, and UT Night. 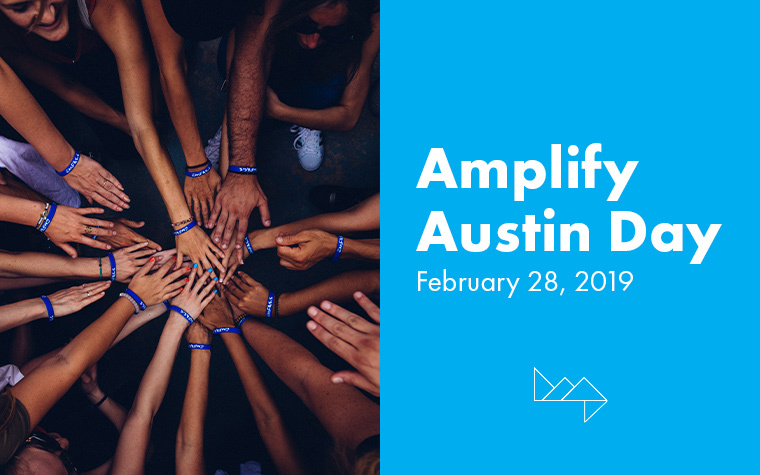 Where: Zilker Park, 2100 Barton Springs Rd. Parking is limited, so pre-paid parking, shuttle, or bike are your best options. How much: $3 entry fee for attendees 12 and over. General Admission is free for 7 out of the 14 nights. It wouldn’t be a true Austin holiday celebration without spreading some cheer Austin-style – on the water. 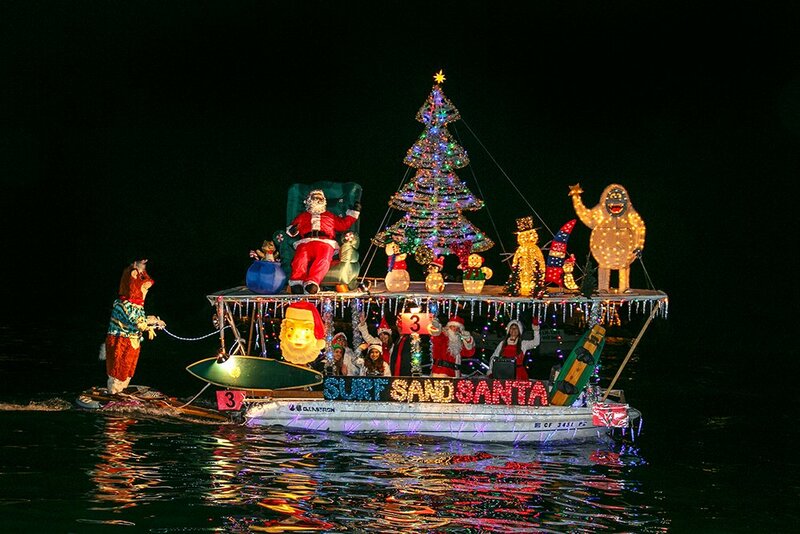 This annual boat procession brings the holiday glow to the lake with Austin’s best-decorated boats illuminating the night as they compete for awards in five different categories. 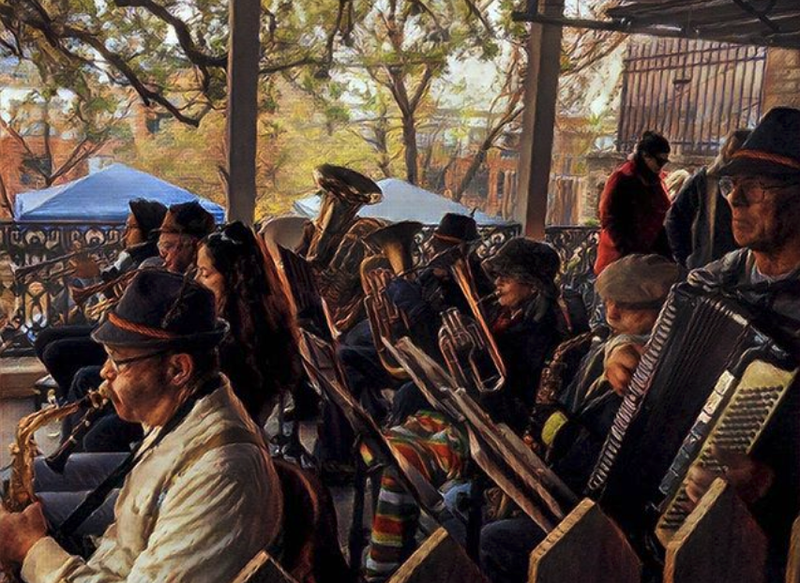 Bring the kids for a family-friendly event, or party on through the night for post-parade festivities at The Gnarly Gar with live music and an award show. How much: Bring a new toy donation for entry. 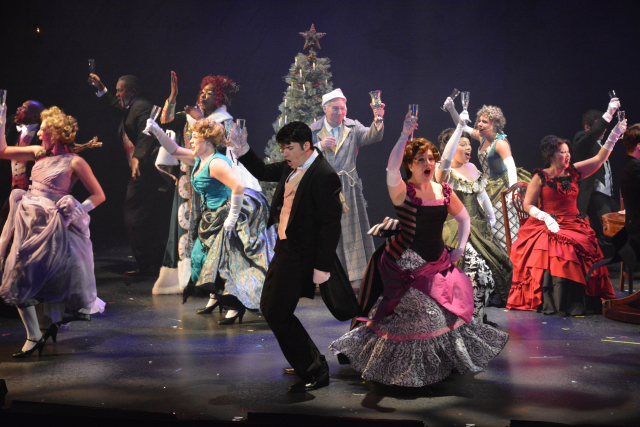 Meet the ghosts of Christmas past, present, and future in Austin’s rockin’ musical rendition of A Christmas Carol. This Christmas classic has never been so energetic and spirited, told through crowd-stirring tunes that bring some funk, rap, and fun to a stellar performance of one of your favorite holiday tales. Where: ZACH Theater, 202 S. Lamar Blvd. Expect visions of sugar-plum fairies dancing in your head after this stunning ballet production set to Tchaikovsky’s orchestral Christmas masterpiece. 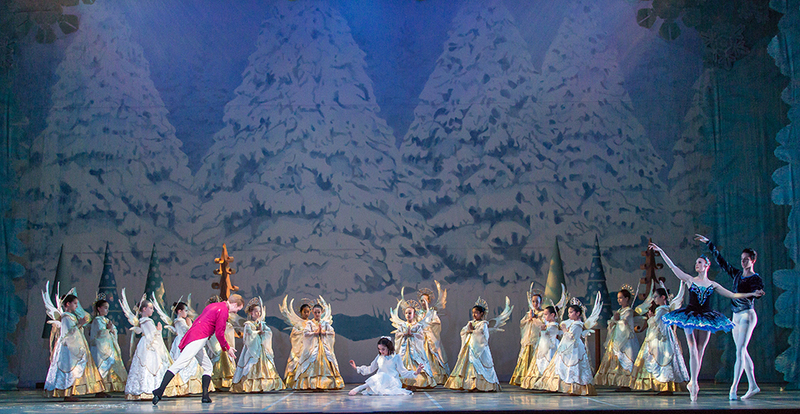 The impressive talent of Ballet Austin is put on full display with hundreds of dancers, extravagant costumes, and dreamy sets with a performance that will have you whirling home in a magical holiday daze. Where: Long Center for Performing Arts, 701 W. Riverside Dr.
Don’t miss the ultimate holiday shopping experience – and a chance to knock out all your holiday shopping in one fell swoop. For a full 12 days, this buzzing holiday market showcases the talent of over 175 of Austin’s finest musicians and artists. 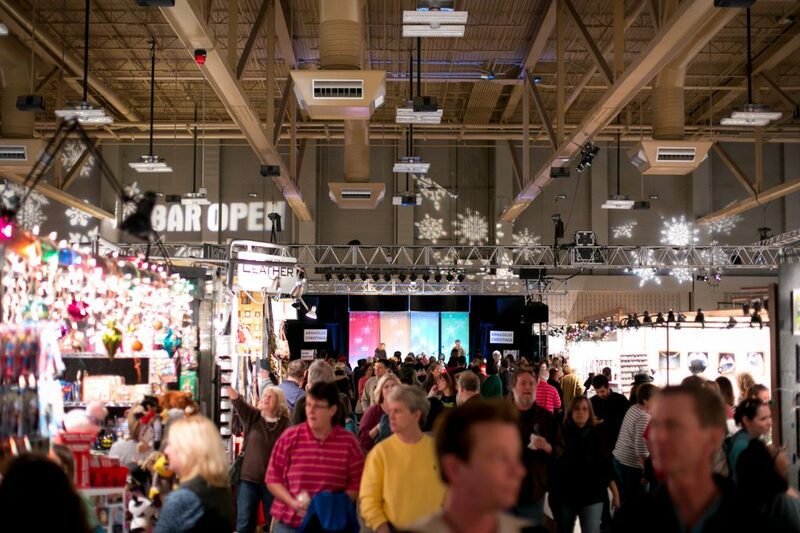 Shoppers can browse artistic creations at booths and galleries while enjoying live entertainment on stage, two full bars, and tasty local fare. 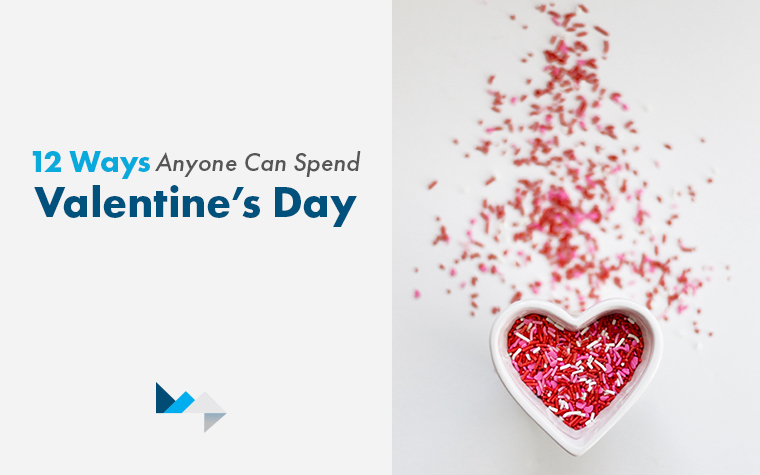 $10 for single-day ticket. Free admission age 12 and under. The German-Texan Heritage Society welcomes visitors to a festive yuletide experience at their annual German Christmas Market. Importing ornate, handcrafted items from Germany, the market offers shoppers a chance to explore the flavors, sounds, and sights of Germany’s best holiday traditions. Guests can enjoy authentic German delights like Gluehwein (mulled wine), gingerbread cookies, cider, and stollen; see live performances of German Christmas tunes; and catch a visit from good ol’ Saint Nick. 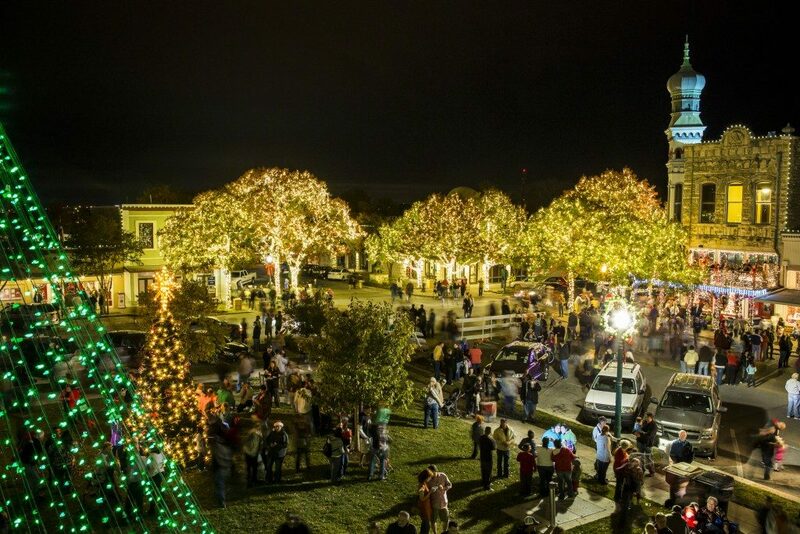 Have yourself a merry little Christmas night on the picturesque Georgetown Square. Stroll along decorated streets for an old-fashioned Christmas experience with glowing window displays, glimmering lights, and the peaceful songs of carolers. Kicking off Friday night and continuing through dusk Saturday, family activities include visiting the Grinch at Whoo-Village, a live nativity at the Bethlehem Village, or Santa Clause at the Christmas Tree Farm. Catch the Christmas Stroll Parade Saturday at 10 am. Where: Georgetown Square. Parade begins at corner of E 2nd St. and S Church St.